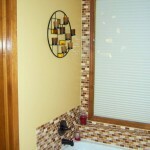 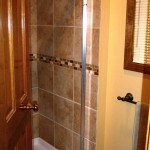 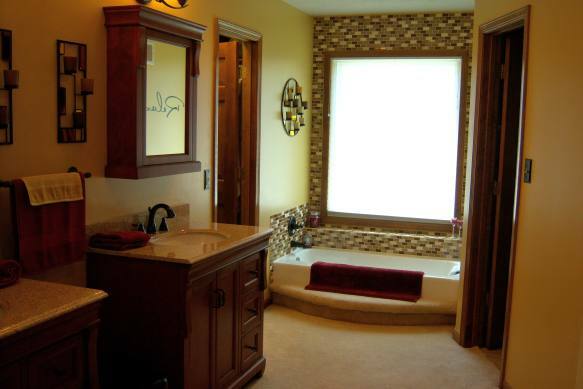 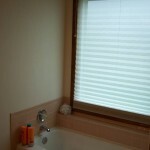 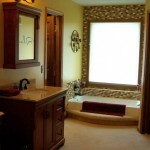 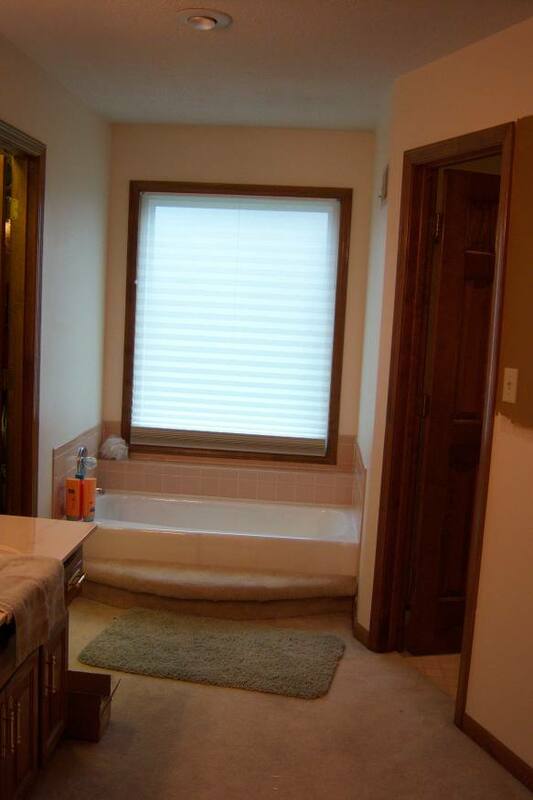 This bathroom was in good shape, but the owners wanted a more modern look. 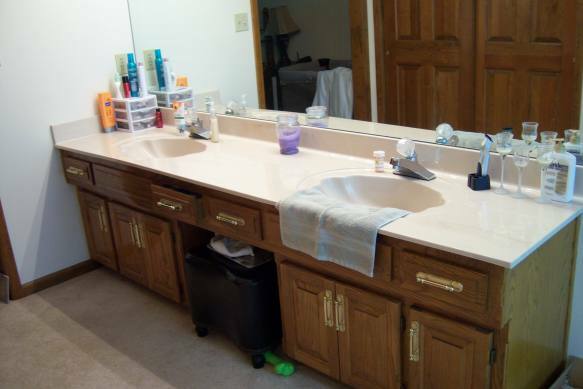 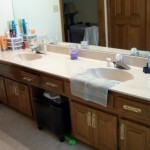 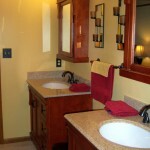 The builder’s grade one-piece his-and-hers vanity was replaced with 2 warm cherry wood single vanities, with separate mirrored medicine cabinets. 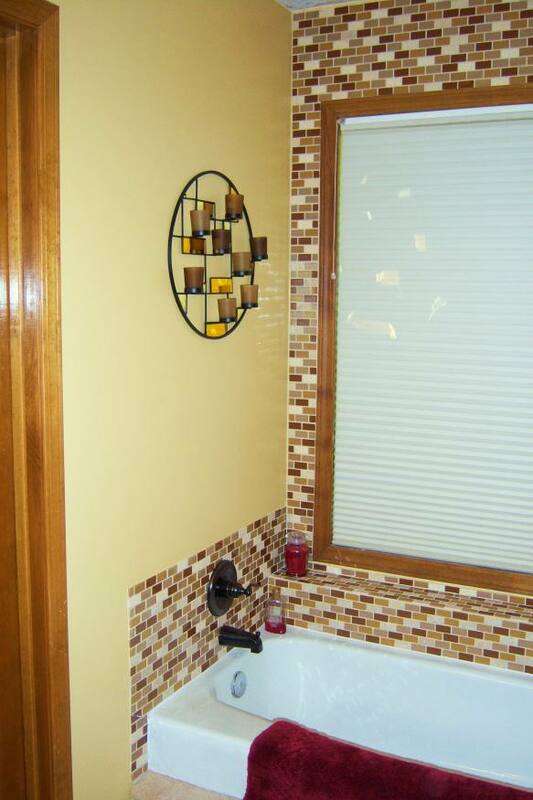 The tub’s splash guard was replaced with small glass tiles that were continued up to the ceiling, adding a dramatic effect. 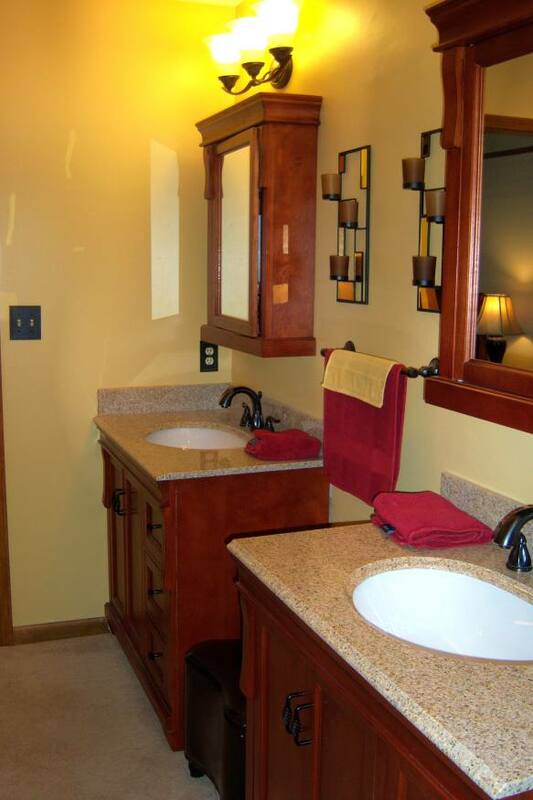 The light fixtures and bathroom fixtures were replaced with oil-rubbed bronze fixtures. 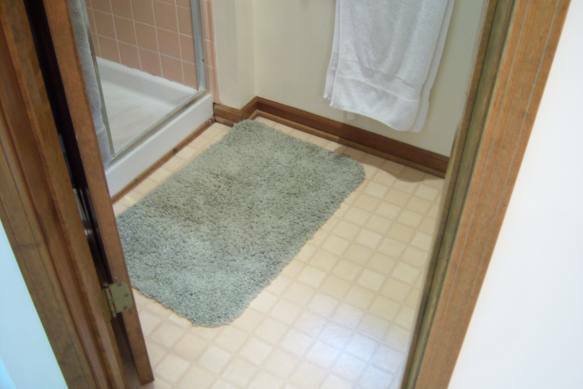 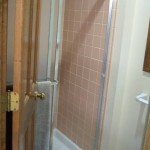 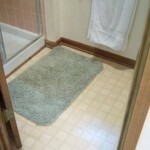 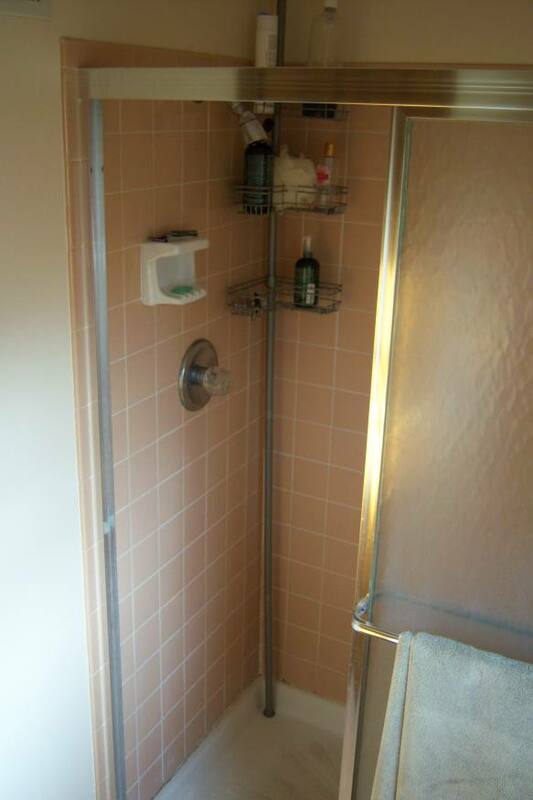 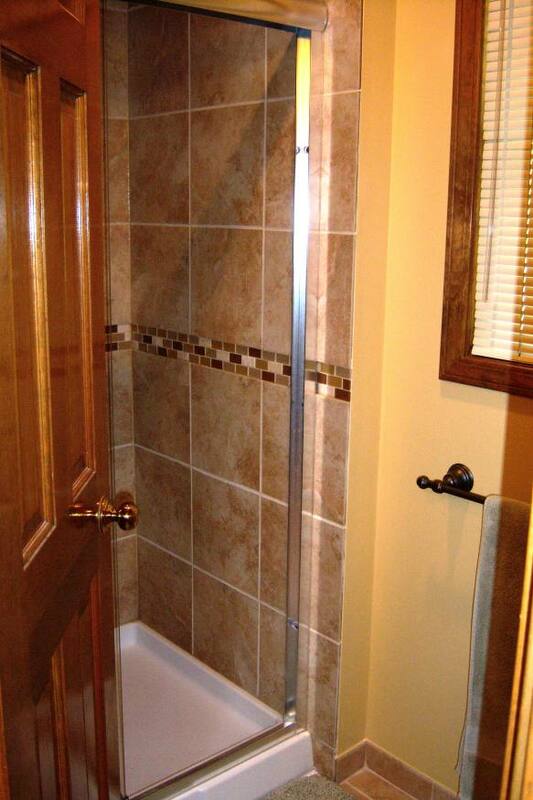 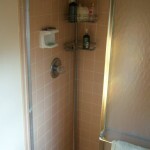 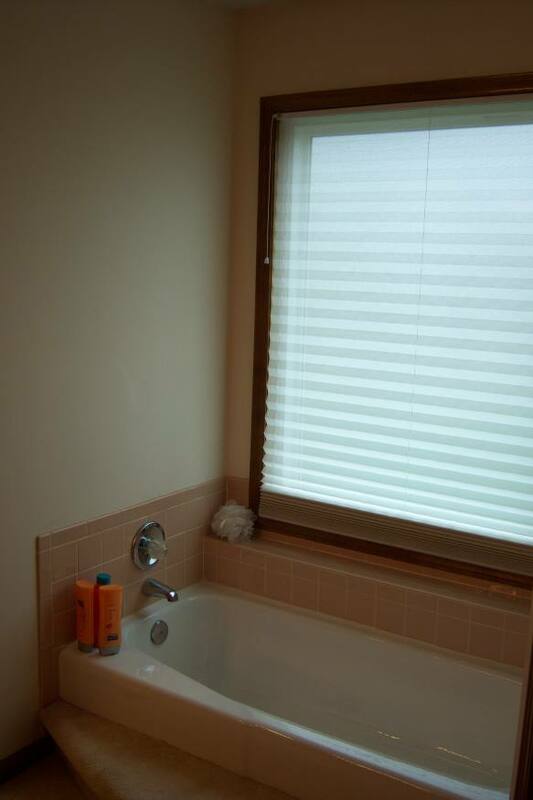 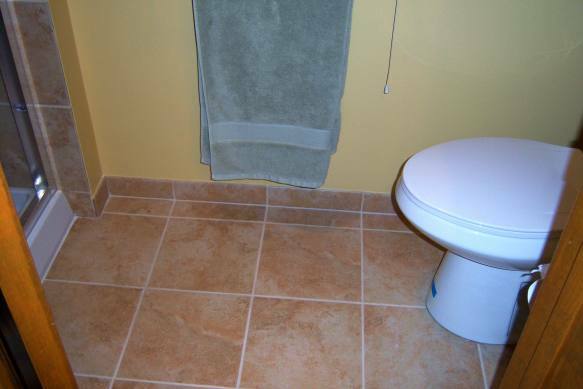 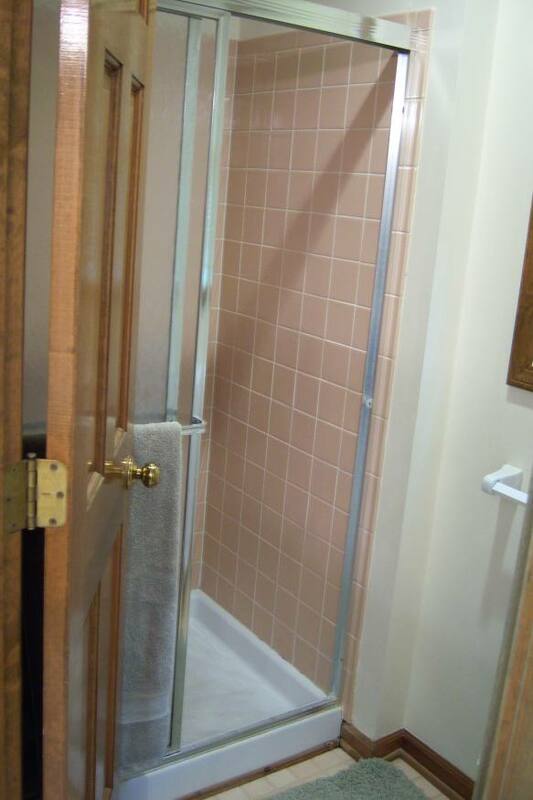 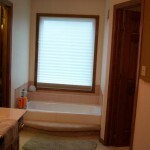 Vinyl flooring and the pink shower tiles were replaced with warm tan-colored 12″ ceramic tiles, with a small glass-tile border in the shower that matches the new tub backdrop. 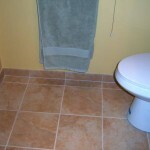 Finally, the plain white walls were painted a warm yellow-gold to bring it all together.